After living in Los Angeles for a while, and also visiting various locations around the area, I had a chance to discover some best eats in Los Angeles. Finding a great spot in LA isn’t always easy, as many restaurants are either overpriced or too packed to get a reservation. I chose a few best places for brunch in LA, as well as some slighlty different options. 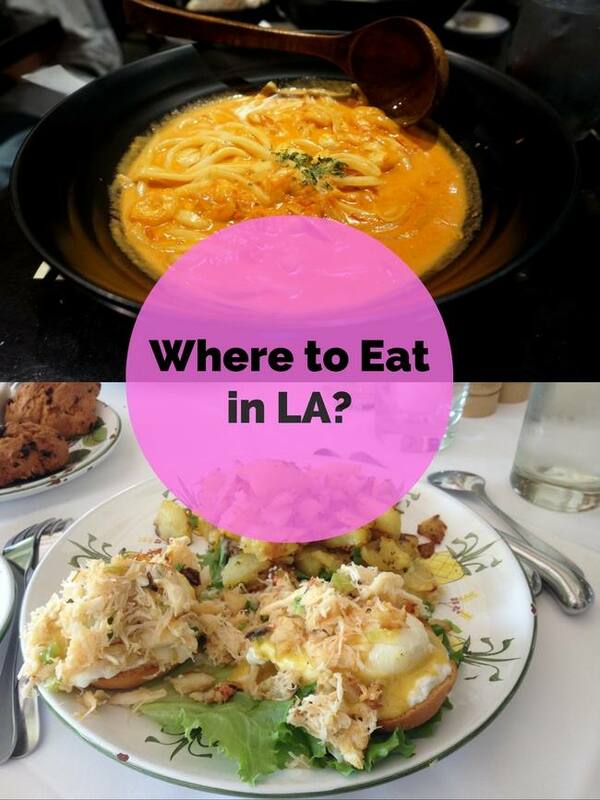 Here are my top choices for a first-time visitor to LA, as well as someone who likes great food that’s worth the money. Let me start this compilation with In-N-Out as it’s one of the most iconic Californian thing. Californians are obsessed with these simple burgers and tourists find them so interesting that they’re willing to spend hours waiting to get a burger like it recently happened in London where there are many better places to eat. In-N-Out is not a typical chain: due to a religious beliefs the founders cups and bags consist the book, chapter and verse from the Bible. Also, only the most basic menu is displayed while you need to know about the ‘hidden’ menu to get the better meal – like ‘animal style french fries’. I’m not a picky person especially when hungry, but I tried to eat there a few times and both times ended up leaving unsatisfied. The burger bun is too mushy unless you order it toasted, and French fries aren’t good. I might not like it, but you should check it out for yourself to decide. Monzo is all about udon noodles. Located in Little Tokyo, this small restaurant you can see it being made behind the glass counter what already makes this experience cool. 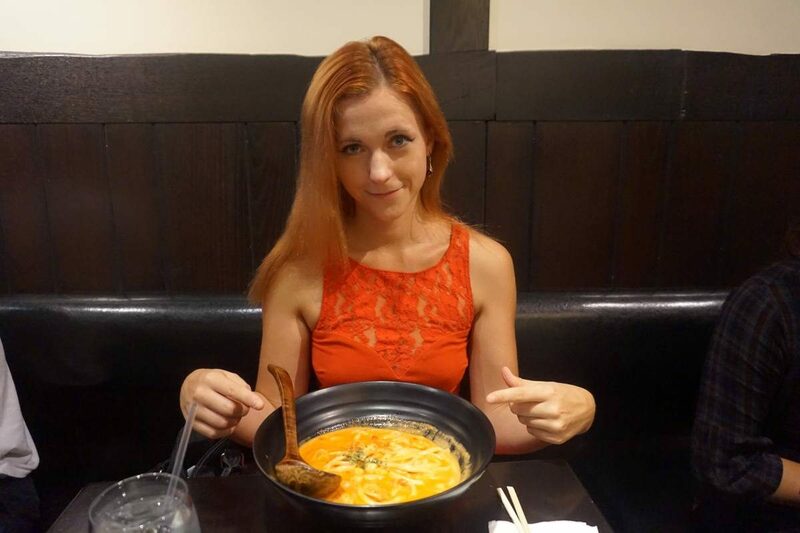 The place serves more than 20 variations of udon, which are among America’s least fetishized Japanese noodles and… it’s not always the udon you imagine in a hot Japanese stew. Monzo is a place where udon meets Italian cuisine and combines the best possible creation I’ve ever tried. You can get udon with mushroom carbonara, udon with creamy tomato sauce and seafood, or some other variations. And you can top it all with a shrimp tempura. The place is affordable, ranging from $15-20 for a giant bowl of udon. I’m sure you’ve seen at least one of these cute and colorful donuts on instagram. With a vintage sign outside California Donuts is a must-visit place for seekers of random cute stuff. Where else can you get a panda donut? The Reese’s, Oreo, and Snickers doughnuts are exceptional and you most likely won’t end up getting just one donut. Be aware there is no parking anywhere nearby. Sqirl is a hipster-chic restaurant in West Hollywood and one of the most instagrammeable place of LA. 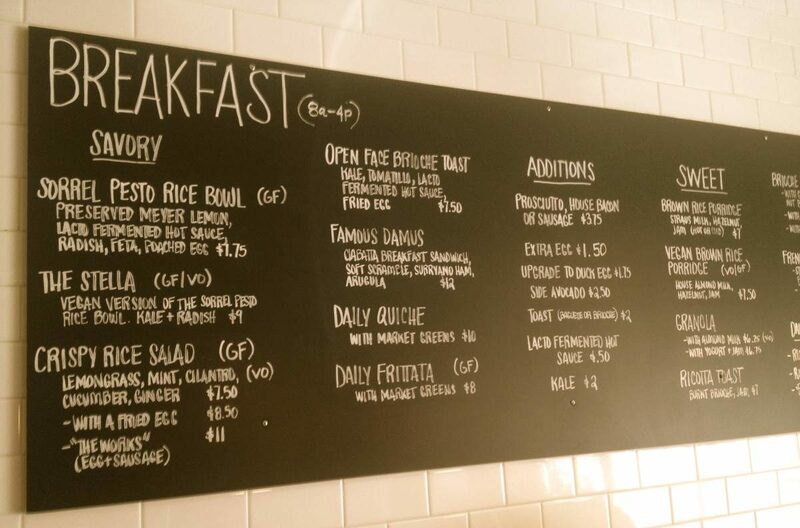 This restaurant will give you breakfast all day, but they won’t be poached eggs. The menu is unique and full of rice and quinoa bowls with pesto and veggies and everyone seems to love it. Don’t forget to get a brioche as a side dish as it’s delicious. One tip: if you’re planning on eating there on weekends, don’t. Unless you like standing in a line for hours – the place is packed. If you’re looking for not the trendiest place to eat in Santa Monica, M Street Kitchen is a good choice especially if you’re a fan of poached eggs like me. The sauce is very creamy and even I was satisfied with the amount of it on my eggs. During the happy hour you can get 2 for 1 cocktails which is always nice. Once my friend introduced me to Lemonade I immediately fell in love with this place. You can pick anything you like from a display, ranging from salads, warm dishes, sandwiches, cakes etc. Their salads are absolutely delicious. Some claim that Lemonade is a tad bit overpriced, but you’re getting the quality and freshness that you pay for, just like at Wholefoods for instance. Don’t forget to get blood orange lemonade! 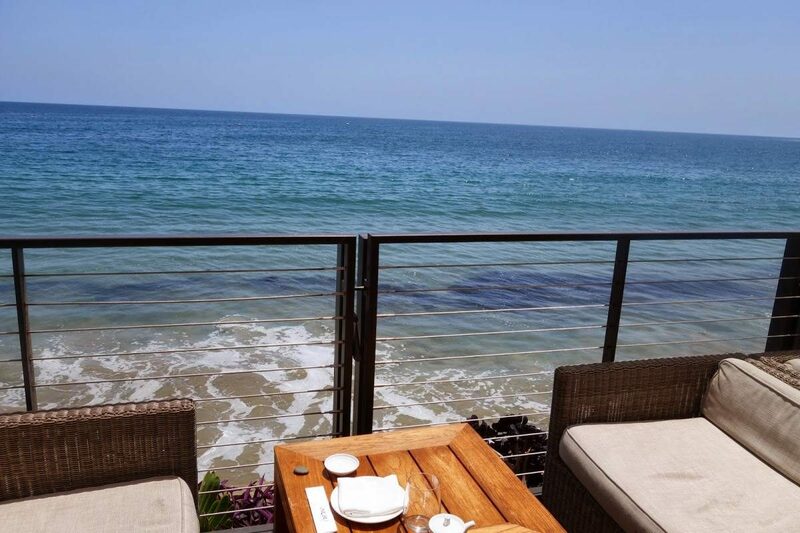 Nobu is never the cheapest choice, but the restaurant in Malibu is one of the kind. Located practically on the water you can get an incredible view. Lobster tacos and sushi are the best choices for any meal, especially when accompanied with champagne. I think this place is a perfect spot for a date or fancy lunch with friends, when you’re driving through Malibu’s best beaches. Yes, this place is overadvertised as a celebrity spotting location, but in my opinion it’s worth the hype. Funnily enough I did meet a celebrite when I was there and we actually had a quick chat. 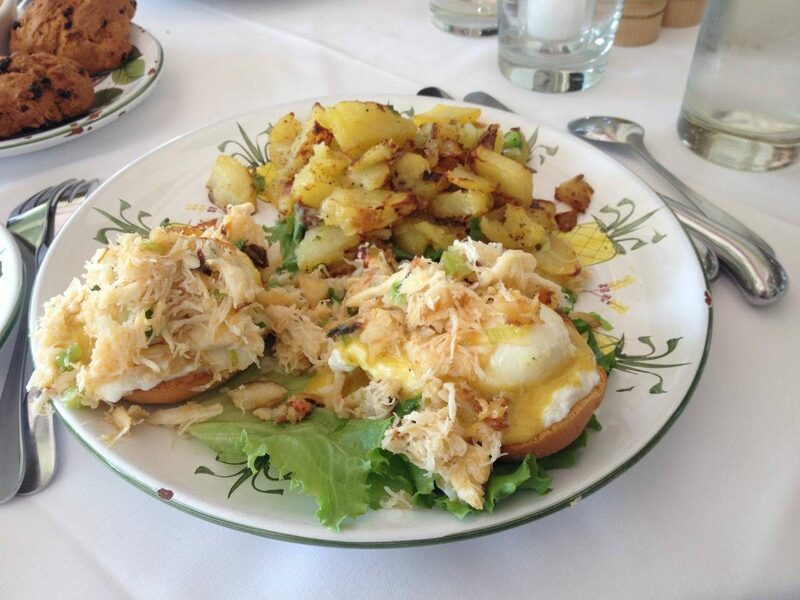 For a lover of poached eggs and seafood the choice of Crab Benedicts was a hit. Everything about my dish and drink was perfect and to my surprise I received a box of freshly baked chocolate chip cookies – one of the best I’ve ever eaten. This isn’t a restaurant per se, but it’s a fun spot to go to when you’re in the area of Highland Park. It’s a soda store with over 750 different types of sodas from all over the world! With so many choices, it’s easy to get caught up trying new things. You can also make your own soda! You can set the carbonation level, pick out your flavors, and cap and label your own bottle. My ‘Anna’s Soda’ was white chocolate and raspberry flavor and surprisingly wasn’t bad at all. Obviously, I might have missed out on a few great spots and this list can keep on expanding forever and ever. I featured only some of my favorite places. Don’t forget to also check my favorite things to eat in San Francisco and the Bay area. 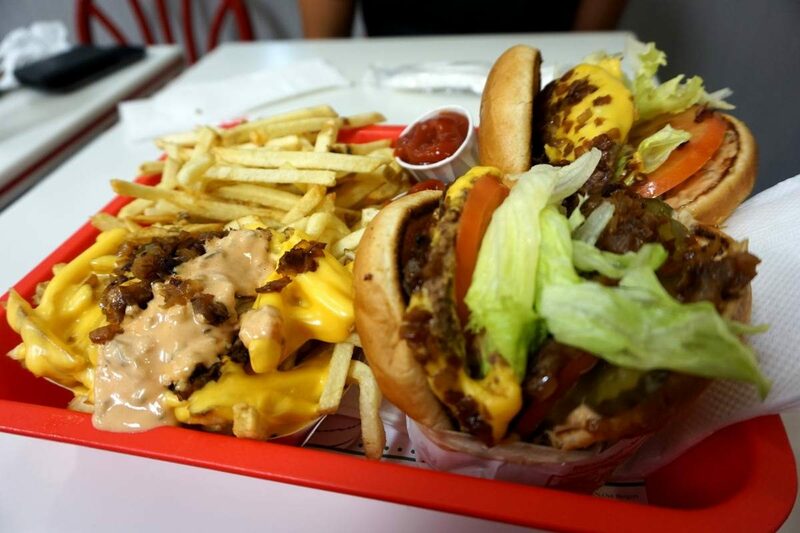 Glad to see In-n-Out Burger was your #1 place listed on “Where to Eat in Los Angeles.” My friends told me about this this burger joint before I came to L.A. for a visit. I couldn’t understand why a fast food place would be “that good,” but it truly is! Not only is the food great, but the decor is so 50s chic that you are brought back to a simpler time in America! Check out Tacos Leo at the corner of LaBrea and Venice Blvd. It’s a truck at the 76 gas station. The Al Pastor tacos on weekend evenings are amazeballs….